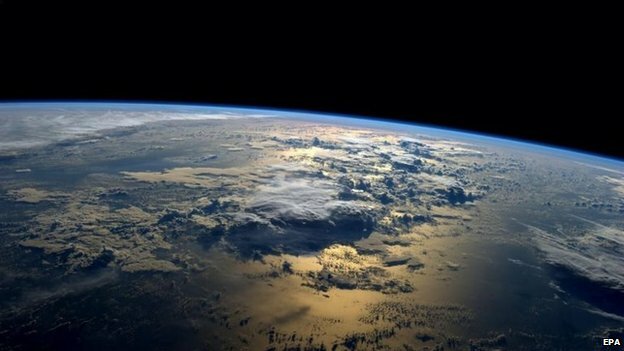 A small asteroid about the size of a house will fly past Earth on Sunday, US space agency Nasa says. 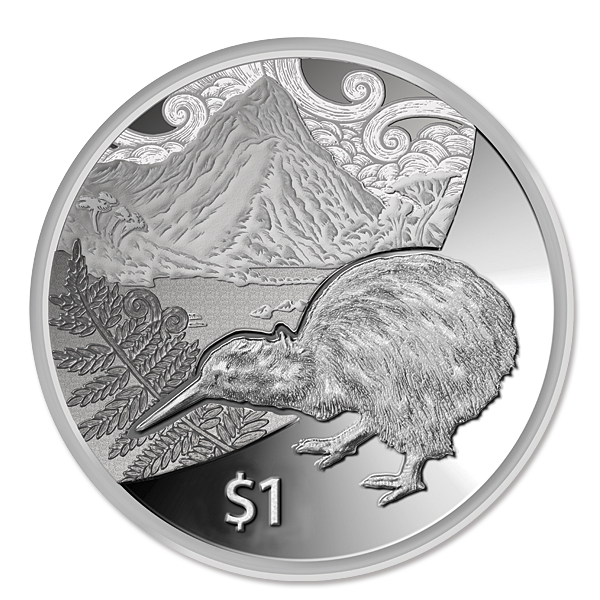 The asteroid, 2014 RC, was due to pass over New Zealand at 18:18 GMT. It is about 60 ft (18 m) in size. It will be about 40,000 km (25,000 miles) away, posing no danger to Earth, Nasa said. While it will be too small at that distance to see with the naked eye, amateur astronomers with telescopes may glimpse it as it passes, Nasa added. The asteroid was first discovered on 31 August, and, at its closest approach, will be about one-tenth of the distance from the centre of the Earth to the moon, Nasa said in a statement. In February 2013, a meteorite of a similar size exploded over Chelyabinsk in Central Russia, injuring more than 1,000 people. 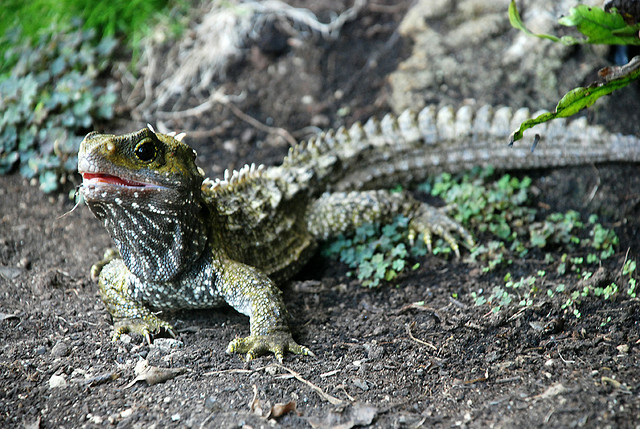 The tuatara lizard (Sphenodon punctatus), endemic to New Zealand and not strictly a lizard, is recognised as being the oldest living dinosaur. 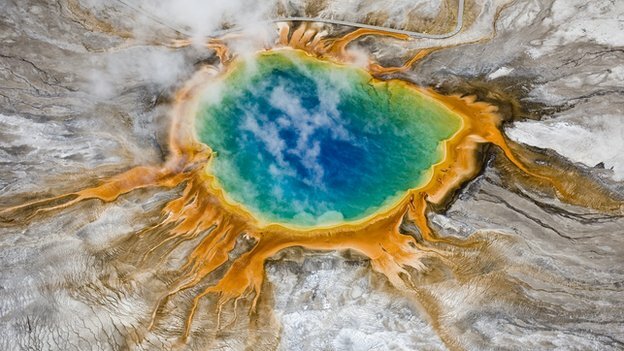 Supervolcanoes like Yellowstone can explode without an earthquake or other external trigger, experts have found. The sheer volume of liquid magma is enough to cause a catastrophic super-eruption, according to an experiment at the European Synchrotron Radiation Facility (ESRF) in Grenoble. Simulating the intense heat and pressure inside these “sleeping giants” could help predict a future disaster. The study by a Swiss team from ETH Zurich appears in Nature Geoscience. Lead author Wim Malfait, of ETH Zurich said: “We knew the clock was ticking but we didn’t know how fast: what would it take to trigger a super-eruption? 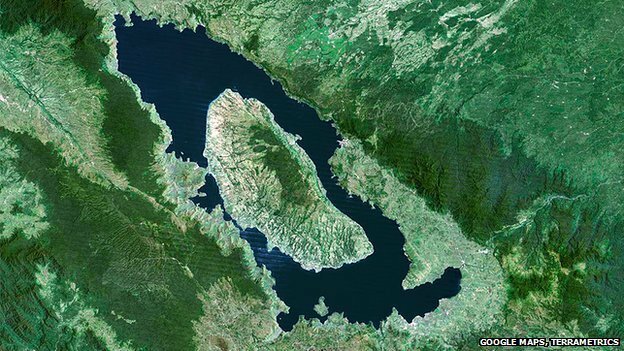 “Now we know you don’t need any extra factor – a supervolcano can erupt due to its enormous size alone. There are about 20 known supervolcanoes on Earth – including Lake Toba in Indonesia, Lake Taupo in New Zealand, and the somewhat smaller Phlegraean Fields near Naples, Italy. Super-eruptions occur rarely – only once every 100,000 years on average. But when they do occur, they have a devastating impact on Earth’s climate and ecology. When a supervolcano erupted 600,000 years ago in Wyoming, in what today is Yellowstone National Park, it ejected more than 1,000 cubic km of ash and lava into the atmosphere – enough to bury a large city to a depth of a few kilometres. This ejection was 100 times bigger than Mt Pinatubo in the Philippines in 1992 and dwarfs even historic eruptions like Krakatoa (1883). “This is something that, as a species, we will eventually have to deal with. It will happen in future,” said Dr Malfait. Being able to predict such a catastrophe is obviously critical. But the trigger has remained elusive – because the process is different from conventional volcanoes like Pinatubo and Mt St Helens. One possible mechanism was thought to be the overpressure in the magma chamber generated by differences between the less dense molten magma and more dense rock surrounding it. “The effect is comparable to holding a football under water. When you release it, the air-filled ball is forced upwards by the denser water around it,” said Wim Malfait, of ETH Zurich. For more than three generations the Holden has been driven by New Zealanders and Australians. For many, including me, a Holden was their first car. 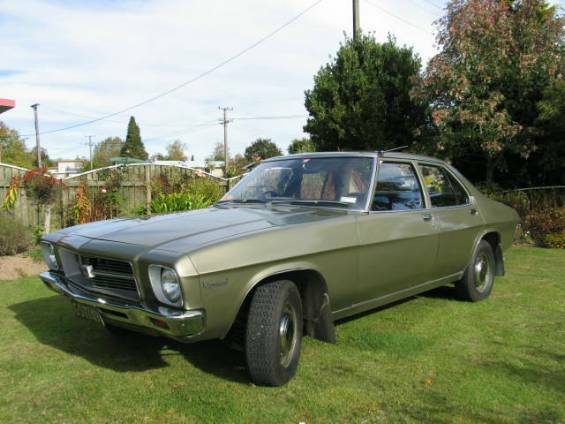 My last Holden was a 1971 Kingswood, although I drove an HZ as a taxi. 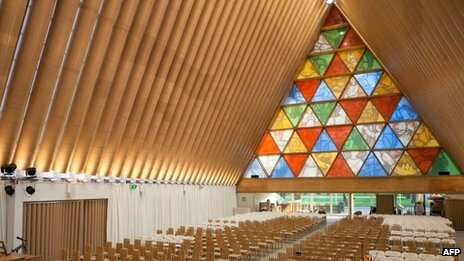 New Zealand’s city of Christchurch has formally marked the completion of its new cardboard cathedral with a dedication service. Church officials say the completion marks a milestone in the city’s recovery efforts. Falkland islanders are about to vote in a referendum on whether to stay British, with a resounding yes expected. But are there far flung territories that feel more British than the UK? 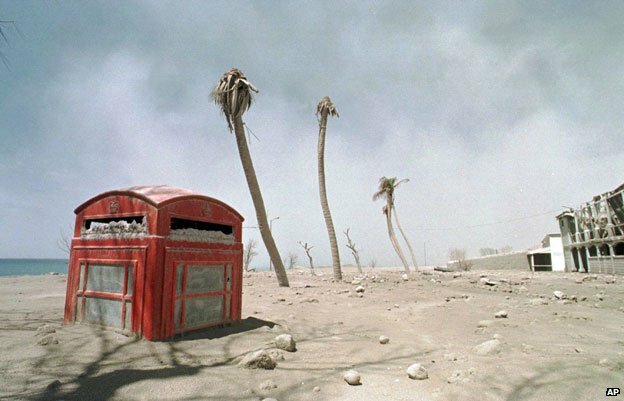 There are bright red pillar-boxes, old-fashioned red telephone boxes and union jack flags. There are British pubs, fish and chip shops and cream teas. They may be more than 6,000 miles away from the UK, but the Falkland Islands look rather British to many visitors. 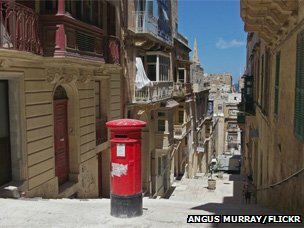 On 10-11 March, islanders will be asked if they want to remain an Overseas Territory of the UK. Argentina, which claims the islands, has condemned the vote. It’s a bit of a cliche that the Falkland Islands are “more British than Britain”, but how British do residents of the archipelago actually feel? When it comes to how islanders describe themselves, Teslyn Barkman, a 25-year-old journalist at the island’s newspaper Penguin News, says the older generation who lived through the war are more likely to say they are British. Many would feel it was disrespectful not to, she says. But the sixth generation Falkland Islander, who has also lived in the UK, says most people “feel Falkland Islander first, and British second – in the same way the Scottish feel Scottish before British, and people from Cornwall might say they are Cornish before English or British”. Falkland Islanders have a complicated identity, according to Barkman. While landmarks and television might be predominantly British, the culture is different, she says. “People are more outdoorsy. They spend time fishing, driving around camp [Falklands term for rural areas] in off-roaders, clay pigeon shooting. We have lots of sports events which are like mini festivals. Sheep shearing is common, and horseback riding is Western style – I’d say it’s more like a slice of old-fashioned cowboy America than anything else,” she says. Barkman says some of the island’s architecture – corrugated tin roofs and brightly coloured fences – is also not very British. There is only one cinema, which is about 40 miles out of town. And although English is the official language, it is peppered with expressions derived from sheep farming links with New Zealand, Australia, South America and Scotland, while some rural areas and horse gear items are disjointed Spanish, she says. The Falkland Islands are not the only far-off territory to still feel British. 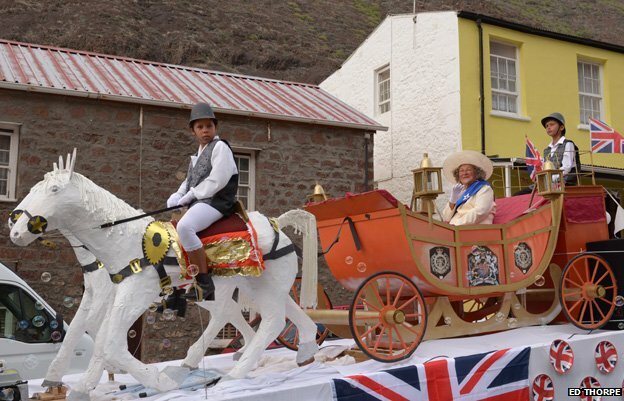 The 4,200 people who live on the tiny south Atlantic island of St Helena, which is one of the most isolated settlements on the planet, have a very strong sense of Britishness, says Tara Thomas, who was the island’s youngest councillor. “Jamestown is like a small village in 1950s Britain, with Georgian buildings with high ceilings. There’s a place called Scotland, which is very cold. We have roasts on Sundays, cricket and football are big sports. 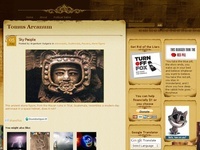 “Until recently, Royal Family pictures were on many walls. There was a pageant for the Diamond Jubilee, so the affiliation with the Queen as the head of the country is still very much alive,” she says. British or Irish-sounding surnames, such as Thomas, Herne, O’Connor, Stevens and Harris, are widespread, and pubs have names such as the Standard and the White Horse. St Helena also has a history of financial dependence on the UK, with the British government recently agreeing to invest £250m in the island’s first airport. Until two years ago, the only way on and off the island was a dedicated Royal Mail ship. Thomas says being British is important to most St Helenians as it gives them a sense of who they are and where they have come from. But she says not everything is British. The St Helena accent is closer to New Zealand’s English than the UK’s. And the weather is sub-tropical. Gibraltar, which Spain has long claimed sovereignty over, is another place where you might hear the phrase “more British than Britain”.